Honey, stop the car! Do not miss out on this beautiful 4 bedroom, 2.5 baths and 2 car garage with a loft that is under 5 years old! 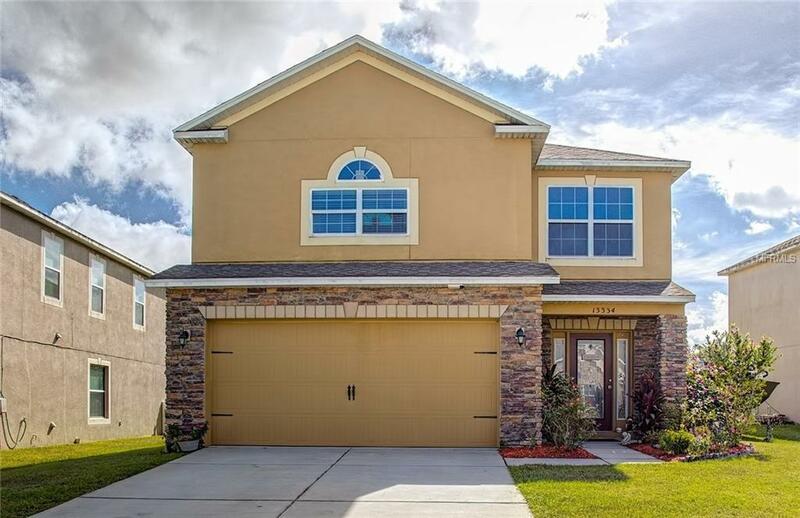 Sitting in the tranquil community of Abbey Glen and super close to the local schools, park and the Pasco County Fairgrounds. Sit in your backyard to watch the spectacular fireworks presentation on July 4th without ever leaving your home. This home boasts an enormous living room, separate dining room and a large kitchen with a 1/2 bath downstairs to accommodate your guests. The loft is oversized with plenty of room for an office or a play area for the kiddos. This home is a must see and will not last long!